Marshal S. Willick is the principal of the Willick Law Group, an A/V rated Family Law firm in Las Vegas, Nevada, and practices in trial and appellate Family Law. He is a Certified Family Law Specialist, a Fellow of both the American and International Academies of Matrimonial Lawyers, former Chair of the Nevada Bar Family Law Section and former President of the Nevada chapter of the AAML. He has authored many books and articles on Family Law and retirement benefits issues, and was managing editor of the Nevada Family Law Practice Manual. In addition to litigating trial and appellate cases in Nevada, Mr. Willick has participated in hundreds of divorce and pension cases in the trial and appellate courts of other states, and in the drafting of various state and federal statutes in the areas of pensions, divorce, and property division. He has chaired several Committees of the American Bar Association Family Law Section, AAML, and Nevada Bar, has served on many more committees, boards, and commissions of those organizations, and has been called on to sometimes represent the entire ABA in Congressional hearings on military pension matters. He has served as an alternate judge in various courts, and frequently testifies as an expert witness. 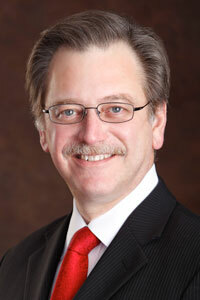 He serves on the Board of Directors for the Legal Aid Center of Southern Nevada. The Willick Law Group does maintain professional liability insurance, through TORUS SPECIALTY INSURANCE COMPANY Harborside Financial Center Plaza 5, Suite 2600 Jersey City, New Jersey 07311, 888-220-8477.